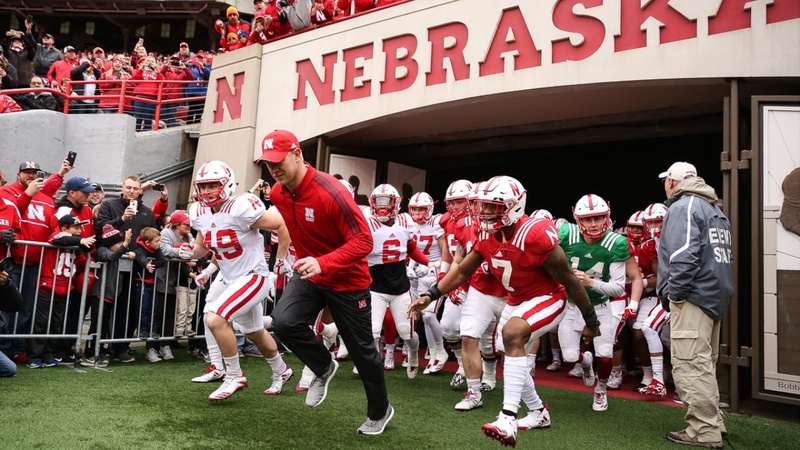 The time is officially set for the 2019 Nebraska Red-White Game. For the second straight season, the annual spring game will be broadcast live on BTN, with kickoff scheduled for 1 p.m. CT. And, for the second straight season, viewers will see a full sea of red. Tickets for the scrimmage went on sale for season ticket holders on Tuesday, Feb. 5, and then for the general public the next day. On Saturday, Feb. 9, the Huskers announced the game had officially sold out. Nebraska coaches and players were hyped about the pace in which tickets were being sold throughout the week. The Huskers had sold 80,000 by Wednesday evening, which led many to believe the game would be sold out once again. And they were right. Fans will get their first look at the new-look Huskers on Saturday, April 13. Nebraska went 4-8 in 2018, but closed the season 4-2 after an 0-6 start. Quarterback Adrian Martinez figures to lead the way offensively after a record-setting freshman season along with wide receiver JD Spielman.